Lyonchhen said that Iceland’s efforts in mobilising awareness toward combating climate change is highly regarded and informed the President that the Himalayan region was vulnerable to the dire consequences of climate change and extreme weather conditions. Lyonchhen further said that developing a conscious approach toward mitigating and preventing such detrimental effects was extremely necessary. During the meeting, Lyonchhen and the President discussed about expediting cooperation on healthy tourism, preservation of glaciers, geothermal energy and greenhouse agriculture among others. 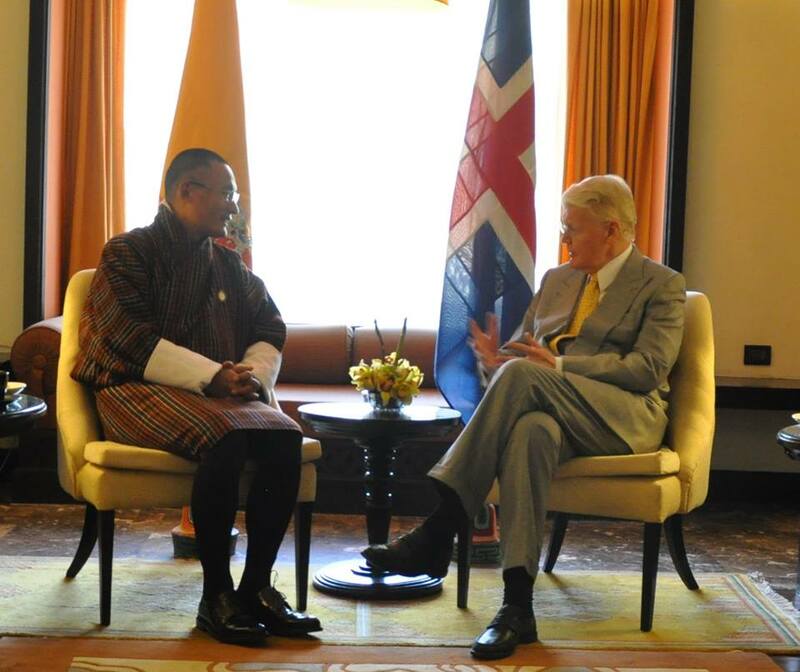 Lyonchhen thanked Dr. Grimsson for exerting leadership in initiating the Third Pole Circle meeting, the opening ceremony of which will be held at the Tashi Taj hotel tomorrow. The President thanked Lyonchhen for the extraordinary goodwill and reception accorded to him and his delegation during their stay in the country and said that he looked forward to a very successful visit.